This is a Livejournal community, so you must have a Livejournal to join. It is a great community with great people who share news, icons, pictures, and more! This is a very active Éowyn fanlisting, and the site also contains some great Éowyn photos, quotes, fanfiction, and more! Here's a fanlisting specifically for Éowyn as Dernhelm. A Livejournal community dedicated to icons for Éowyn and Miranda Otto. You must have a LJ to join. A lovely fanfiction community which has a message board full of very knowledgeable and friendly people. 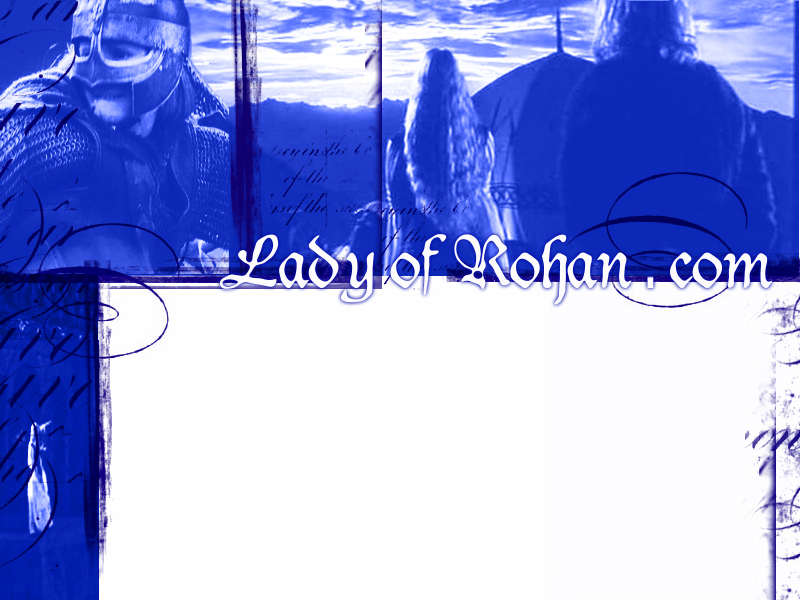 A great message board community with a lovely Rohan theme.